1. Material: Galvanized steel. Stainless steel is workable. 3. Our Thrength: With the best available materials, and the surface is smooth. With better flexible and stable properties. 4. Function: Flexible Metallic Conduit is widely used in the machinery, metra, construction. 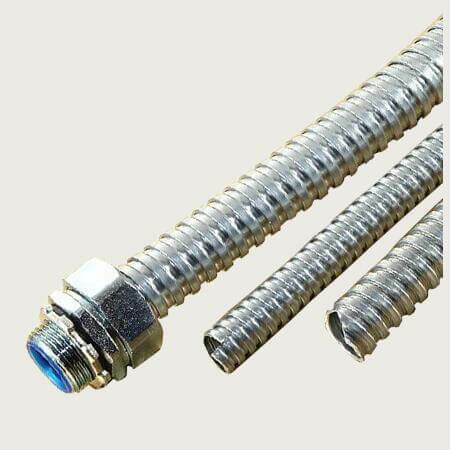 The general material of Flexible Metallic Conduit is galvanized steel, with competitive price and wider using place. Besides the material, the thickness and width of steel could also effect its service life. Please take the factors into consideration before you place an order. Customizable Service: Flexible metallic conduit customizable is workable for us. Such as materials, sizes, logo, packing quantity, packages etc.